Ever wished you could just magically transport yourself to a tropical island for a few days? Or even for a few hours? Wouldn’t that be nice— if it were close enough, not to mention cheap enough, to just visit a luxurious, island escape in the middle of your work day, without disrupting your life and all your duties? As you may have guessed, I feel like that a lot. But taking a solo trek to Hawaii, my dream destination of choice and the setting for all my favorite fantasy escapes, is not in the budget, either in terms of time or money, and it’s not feasible to take my whole family on a 12-plus-hour flight (hello, flying with toddlers?! ), so an actual trip to Hawaii is out of reach. But that has not stopped me from connecting with the island of aloha, and from incorporating a bit of sunshine and tropical magic into my world on a daily basis! I discovered Leahlani Skincare shortly after its official launch in early 2016, and I’ve been in love ever since. 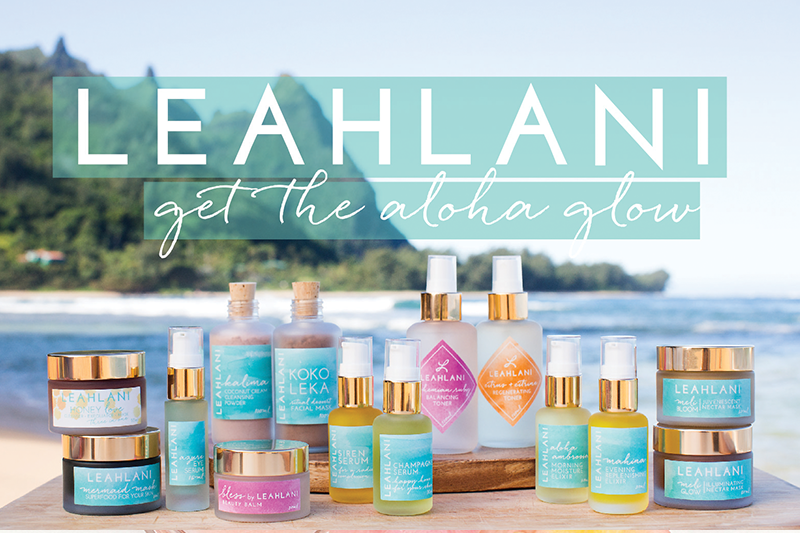 Before 2016, esthetician and brand founder Leah Klasovsky sold products on Etsy and locally in Hawaii, where she had her own private esthetician practice in Kauai, after having studied at a holistic esthetician school on the island of Maui. But once Leah introduced her potions to the world outside Hawaii, her brand grew from just her own clients to people all over the globe, and anyone who has tried the gorgeous, silky Bless Beauty Balm or smelled the fragrant Aloha Morning Ambrosia, or seen the miracles from masking with Kokoleka, has fallen hard for Leahlani’s mermaid magic. 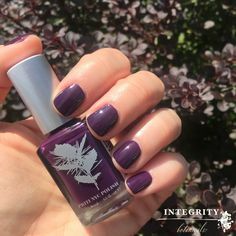 Leahlani is such an exciting addition to the Integrity Botanicals family because it’s like a big ray of sunshine and a shot of love, all rolled up into stunning packaging, thoughtful formulations, and, most importantly in my opinion, FANTASTIC smells. Well, most important is that the products are incredibly effective skincare, but also, they smell really great. My introduction to Leahlani was Bless Beauty Balm. 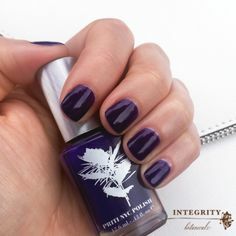 If you are also new to the brand, I recommend it as your gateway product because it’s a multi-use one, lasts a long time, and, you guessed it, smells incredible! Bless is basically my desert— er, tropical— island product of choice, because it’s a cleanser, moisturizer, and perfume all in one. I love Bless for her rich, moisturizing moringa oil, for her gorgeous, rose clay pink color, and for her healing shea butter. Whether your skin is sensitive, oily, or breakout prone, Bless can help you find your glow without being too heavy or thick. She melts in your hands to a very spreadable oil texture, and is a great under-eye balm or lip gloss, too. And if you love the scent of Bless Beauty Balm half as much as I do, you’re in luck! 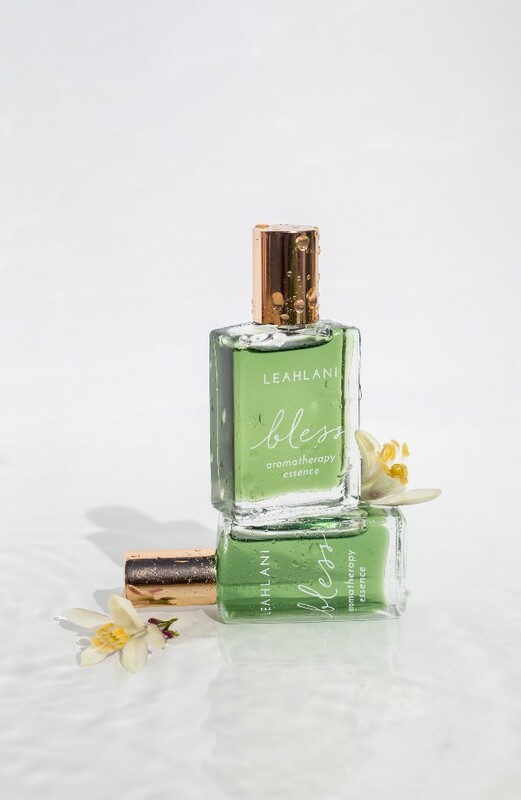 At the time we’re posting this, Leahlani has just released the Bless Aromatherapy Essence, a therapeutic perfume that can literally brighten your day. 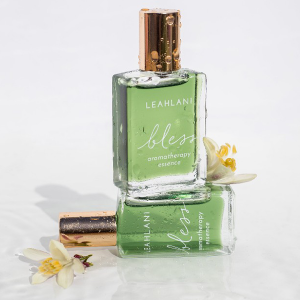 Blue tansy and citrus blossoms mix with pure Hawaiian magic to make a completely wearable, delightful, uplifting fragrance that is, as all of Leahlani’s products are, 100% natural and 100% luxurious. 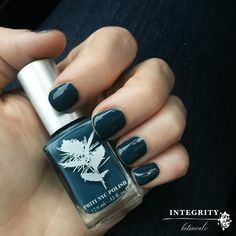 The Aromatherapy Essence is coming soon to Integrity Botanicals, but in the meantime, you can get the Bless balm, which has the same magnificent smell plus the moisturizing, soothing benefits for your face. And don’t forget to use Bless as a makeup remover! Put her on your face at the end of the day and let a warm washcloth sit on your face to create a really decadent ritual. Remove excess balm with the washcloth and enjoy the moisture and scent that linger. 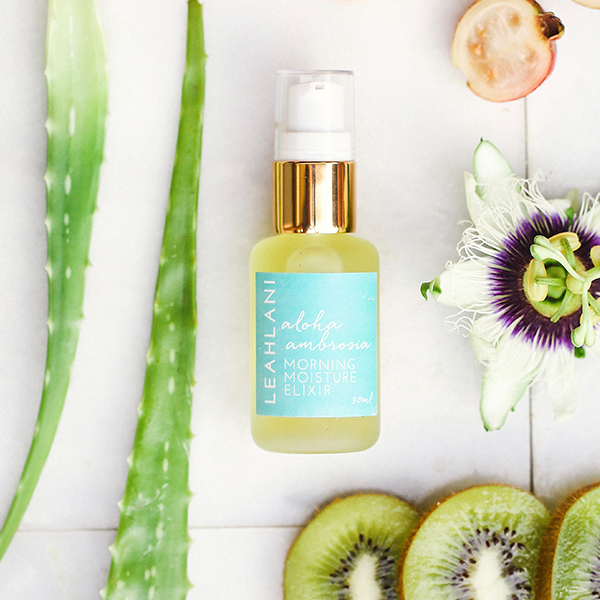 Leahlani recently reformulated their two delightful toners, Bohemian Ruby Balancing Toning Mist and Citrus and Citrine Regenerating Toning Mist to include premium organic Aloe Vera Water and organic hydrosols. Bohemian Ruby now has organic Rose, Calendula, Lavender, Geranium, and Chamomile hydrosols in her formula— making her even more effective at hydrating, balancing and soothing the skin. Citrus and Citrine now has Blood Orange, Neroli, Calendula, and Lemon Verbena hydrosols in her formula— boosting her brightening, livening, and nourishing properties. What really sets both these toners apart from other ones out there is that they are infused with real Hawaiian ingredients, like Hawaiian Sea Salt, that bring these products from just skincare to ritual. Also, each toner has a small stone inside the bottle, either Rose Quartz (Bohemian Ruby) or Citrine (Citrus and Citrine), which emit vibrations including love, joy, and healing, to complete the experience. Other exciting reformulations for the line include Champagne Balancing Serum, which now contains Blue Tansy, the Siren Brightening Serum now has Spirulina extract instead of algae, and Mahina Evening Replenishing Elixir now includes a potent amount of CoQ10 (Coenzyme Q10)— a powerful ingredient to combat the effect of sun damage, stimulate collagen production, and reduce the appearance of fine lines. All Leahlani products are vegan, except for Meli Glow Illuminating Nectar Mask, Mermaid Mask, and Honey Love Microdermabrasion Exfoliator, which all include honey, and all the products are gluten free except for Kalima Coconut Cream Cleansing Powder and Kokoleka Ritual Dessert Purifying Mask. The beauty of this line, aside from the impeccable formulations with top-notch ingredients and ultimate effectiveness, is that you can mix and match them all together to create a personalized ritual. 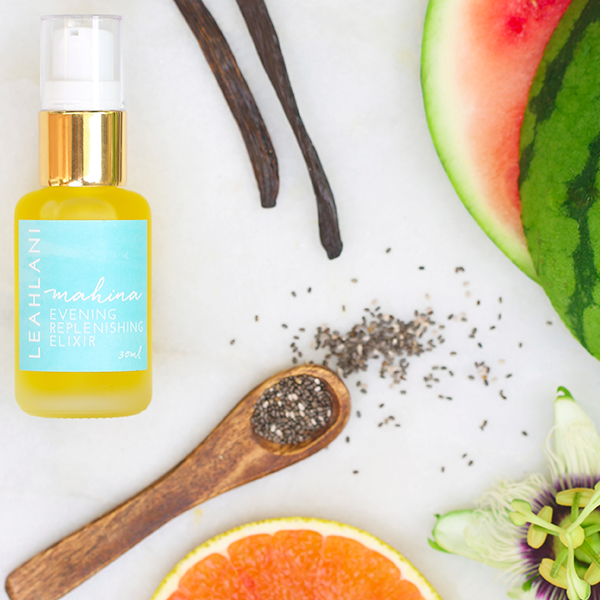 Put a few drops of Siren Serum into your Mermaid Mask, or (and this is my personal favorite) a pump of Aloha Ambrosia into Kokoleka, and you’ll double the potent ingredients you’re getting, all the while feeling the sensory joy that is Leahlani Skincare.